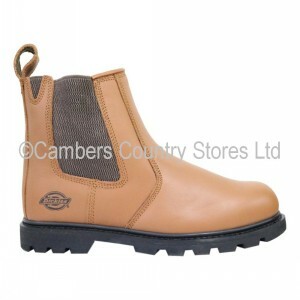 Dickies Fife Dealer Safety Boot. 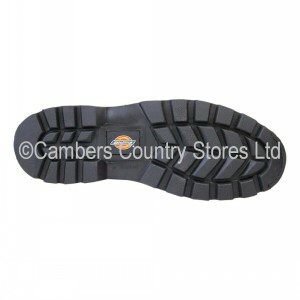 The Dickies Fife has steel protection within the toe-caps and midsoles and is manufactured using Goodyear welt construction. 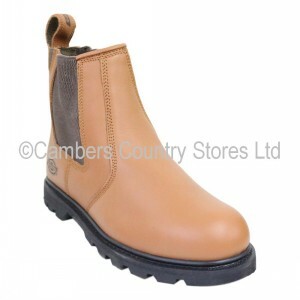 The product also has a breathable cambrelle lining & a foam insock (for comfort). Finally the outsoles are made from nitrile rubber and are heat resistant to 300°C.